What do we mean when talk about workplace health and well-being these days? How well are we doing in achieving it? Traditionally, the notion of employee health and well-being was about protecting workers from hazards in the workplace and insuring physical safety. From this early focus on the physical safety and health of workers, the concept of workplace health evolved to include the protection and promotion of personal physical health and well-being. Corporate wellness programs emphasizing health promoting behaviors like smoking cessation, weight loss, exercise and nutrition, and management of chronic diseases like diabetes fall into this category. The World Health Organization’s is not the only definition of workplace health and well-being but it’s a good starting point for conversation. “Who are clinical social workers?” ACSWA. Photo Courtesy of Maureen Duffy via iStockphoto. Employee health and well-being, especially psychological and emotional health, could be faring a whole lot better than it is. To start with, the Gallup Organization, in its most recent worldwide survey of employee engagement found that only 29% of North American employees were engaged, and this low number represented the highest rate of engagement among all regions of the world surveyed. That leaves 70% of North American employees unmotivated and disconnected, to some degree or another, from their work and workplaces. Add to widespread lack of engagement the results of the 2014 Workplace Bullying Institute’s US workplace bullying survey indicating that 27% of Americans surveyed had personally experienced repeated mistreatment and abusive conduct at work and an additional 21% reported witnessing it. Especially from the perspective of psychological heath, well-being, and safety, the findings from these two recent surveys paint a gloomy picture and suggest that modern organizational life is in trouble. A helpful way of improving psychological health, well-being, and safety in the workplace is through the implementation of guiding principles to make the organization more resistant to workplace bullying, mobbing, and abuse. These principles are values-driven, action-oriented, and structure-sensitive. Guiding Principle #1: Place values like empathy, respect, and ethical communication at the center of organizational life. Empathy is the lens through which co-workers, customers and people served, and complex situations are viewed. What does this situation mean for this person or these people? What is it like to be this co-worker, this manager, this customer, this patient, this student, this teacher, in this situation, and what can this organization do to improve the experiences for each of them? Such deep empathy guides problem assessment and solution-building. The design and innovation company, IDEO is a wonderful example of a company that is built around the value of active empathy. Respect is the value that guides how we treat each other, acknowledge each other’s presence, and recognize each other’s contributions to fulfilling the organizational mission. Practicing respect also allows for embracing diversity and accepting differences. Some work futurists who want to embrace the power of diversity to push innovation and solution-building endorse moving away from consensus models toward dissensus models. In dissensus models, hidden, differing, or even critical perspectives about an organizational situation or challenge are actively sought and gathered. Dissensus models take outlier views into account, thereby including all viewpoints, thus avoiding some of the pitfalls of consensus-building and groupthink. While respect as a value is written into many organizational mission statements and codes of conduct, it is worth remembering what the cybernetician and organizational theorist, Stafford Beer, cautioned; namely, that a work system is what it does (not necessarily what it says it does). Whether respect is actually practiced as a value in an organization shows up in how people both talk about one another and act toward one another. Ethical communication brings together the values of empathy and respect and is the single most important way of aligning these values with behavior to reduce and prevent mobbing, bullying, and other forms of workplace abuse. Ethical communication offers a map for how to talk with others when they are present and how to talk about them when they are not. Ethical communication in the workplace excludes gossip, backstabbing, shunning and ostracizing, applying pejorative labels about the personalities or personal lives of others, and shutting people out of critical information loops necessary to do their jobs. Ethical communication includes transparency and openness among all organizational members irrespective of rank. The late Michael White, a renowned narrative therapist, adhered to a principle of ethical communication in conducting therapy that, if applied within organizations, would go a long way toward reducing workplace abuse, mobbing, and bullying. The principle that White rigorously adhered to was only talking about clients in their absence as he would in their presence—no matter who the third party was or how influential or powerful. Imagine how different and how much psychologically safer organizational life would be if everyone in the organization adopted Michael White’s principle of ethical communication! Guiding Principle #2: Keep an action orientation toward the mission, tasks, goals, projects, and purpose of the organization. In other words, this principle is about doing the work of the organization at full throttle every day. The work of the organization is not the perpetuation of the organization despite appearances to the contrary in a number of cases. The work of the organization is to provide goods and services that benefit and please end-users while inspiring those involved in their creation and production. Workers who are inspired, active, and involved are much more likely to work with each other rather than against each other as happens in workplace bullying, mobbing, and abuse. Guiding Principle #3: Pay attention to structure sensitivity and how the organizational structure impacts the productivity of the organization and well-being of its personnel. Suggesting that organizations pay attention to their own structures and modify or change them when they no longer seem to serve either the end-users or organizational members might seem like a tall order. But it’s a tall order that’s catching on. Zappos, an online shoe and clothing store with over 1,500 employees, is abandoning hierarchy, bosses, and management as we have come to know it in favor of a non-hierarchical, distributed system of power called Holacracy. Other companies are already using the Holacracy model and still others are utilizing structures that rely on networks and self-organizing systems rather than on bureaucracy and hierarchy. Traditional hierarchical organizational structures rely on outdated methods of control that are authoritarian in nature, even when benignly so, and emphasize obedience, conformity, and punishment. 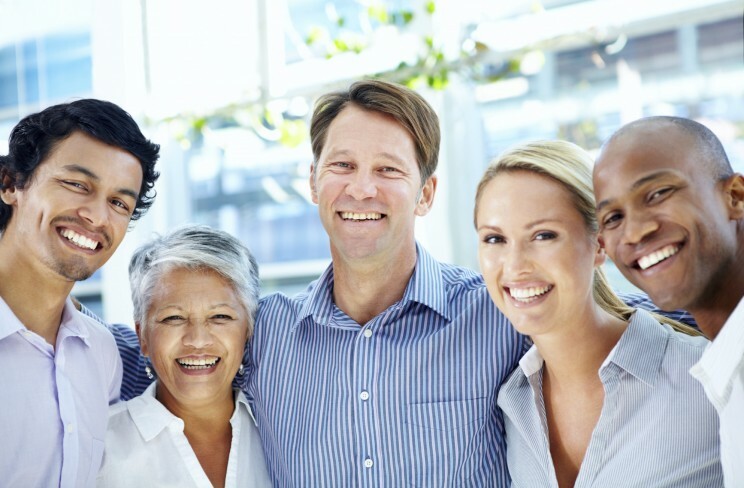 Caring for the psychological health and well-being of employees and, indeed all organizational members, may in the final analysis include serious attention to organizational structure and the possibility of structural change. Such structural sensitivity and change may also be required to rid our workplaces of bullying and mobbing and their destructive effects on the individual and the organization. The news about organizational life and about emotional and psychological well-being within organizations is not good. Creating organizations that are more humane and that are inviting and exciting places to spend so much of our time is worth our biggest thinking and our willingness to dare to make them better. Maureen Duffy is a consultant about workplace and school issues, including mobbing and bullying, a family therapist and educator and is the co-author of Overcoming Mobbing: A Recovery Guide for Workplace Aggression and Bullying and Mobbing: Causes, Consequences, and Solutions. Read her previous blog posts. I really appreciate the idea of structure sensitivity. We all know how sensitive our businesses can be to the market and economic issues, but it is just as vital to consider how we structure our business effects productivity and innovation, as well as what values these structures reinforce. I think that a company that really cares for its workers may be more loved as a result. Such a relationship may lead to more productivity. You mentioned weight loss. When it comes to weight loss the fact it can be linked to obesity or diabetes, make this subject a very important one. Knowing how to lose weight without going through extremely restrictive diets or unbelievable hard workouts may be beneficial.